The old saying goes that “memories last a life time”. We offer a series of unique horseback riding tours and overnight expeditions for all levels of riding ability. Half-day, full-day and hourly horseback riding tours return to the ranch at the end of your trip. Our 3-day expeditions spend the night at our custom-built backcountry wilderness camp, telling stories from the day’s ride around a roaring campfire, enjoying fresh, home cooked-food with a glass of wine and a night under the stars. Doesn't that sound amazing? It truly is. 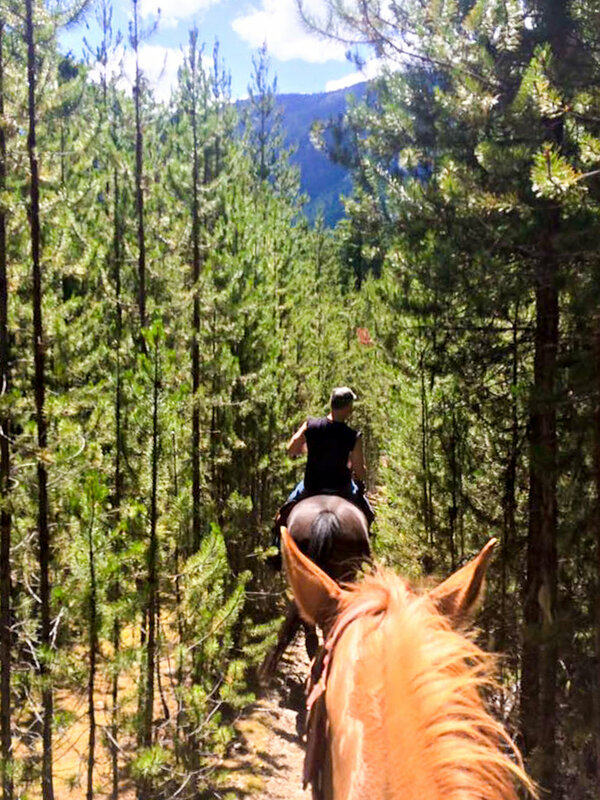 Buy someone special a horseback riding adventure in the Coast Mountains near Pemberton and Whistler, BC. 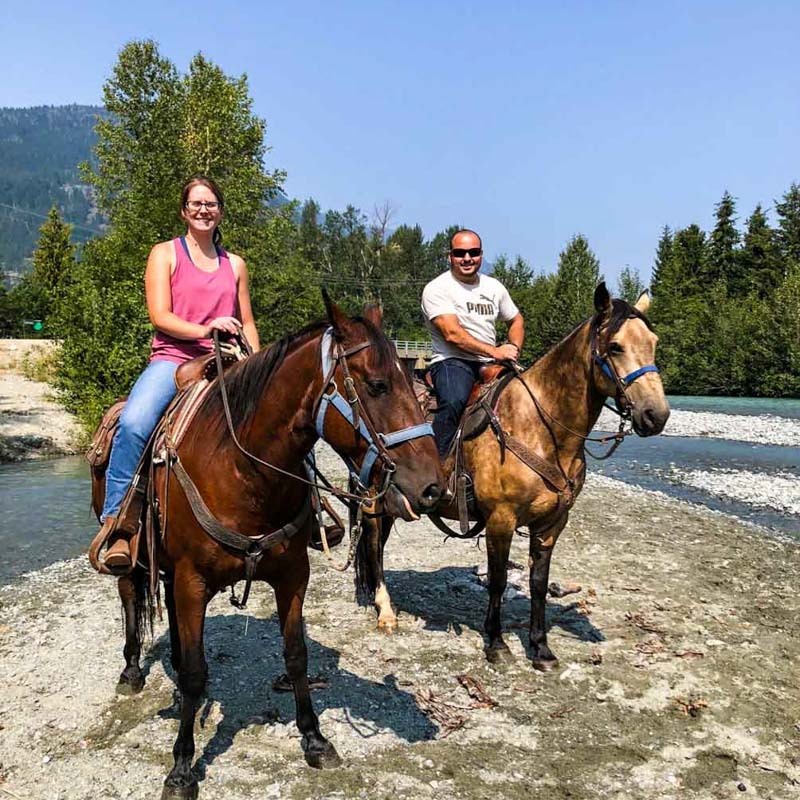 Join us for an exciting 60-minute horseback ride along the dyke at the confluence of the magestic Ryan and Lillooet Rivers. Your ride will take you by horseback from our ranch through quiet wooded forests, grassy fields bright with a display of wild flowers, and even through one of the local rivers (water levels permitting). On this hour-long ride guests are fully immersed in the tranquility of the Pemberton Valley nestled under the watchful eye of Mount Currie. Similar to our 1-hour horseback ride but with 100% more quality time with your new 4-legged best friend. 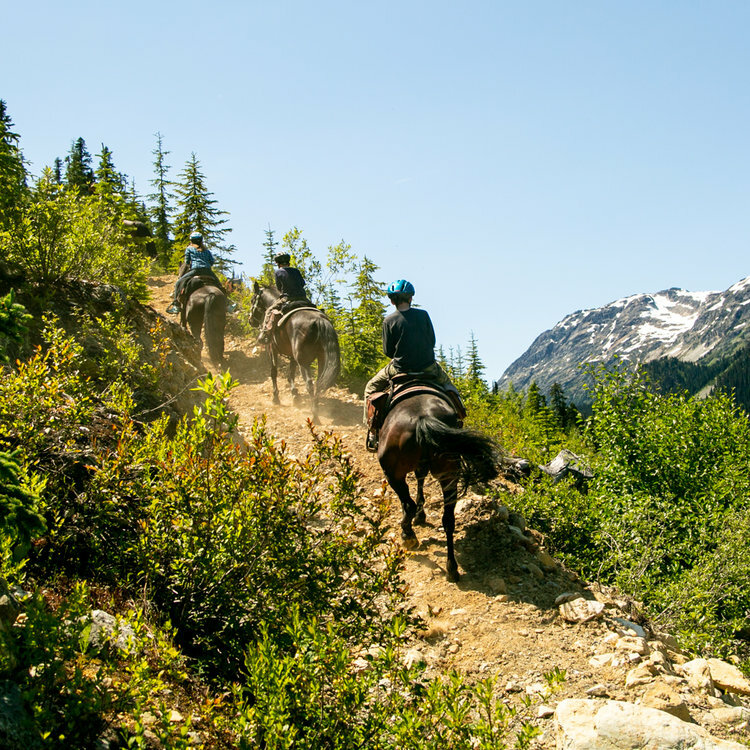 On a 2-hour horseback ride you will do everything in the 1-hour ride plus a jaunt through some of Pemberton's famous farm land meadows. 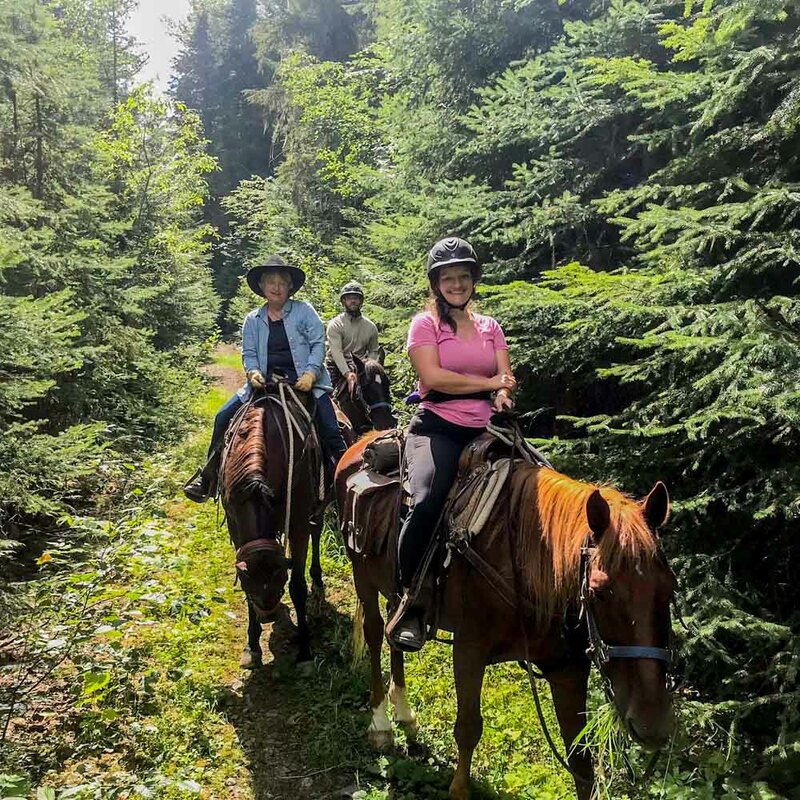 On our half-day rides you will explore the Birkenhead Lake Provincial Park area on horseback and discover some of the most beautiful backcountry that you will ever see. With our knowledgeable and friendly guides you will climb steep, well-maintained mountain trails to scenic viewpoints and lope along a beautiful woodland trail to Birkenhead Lake. 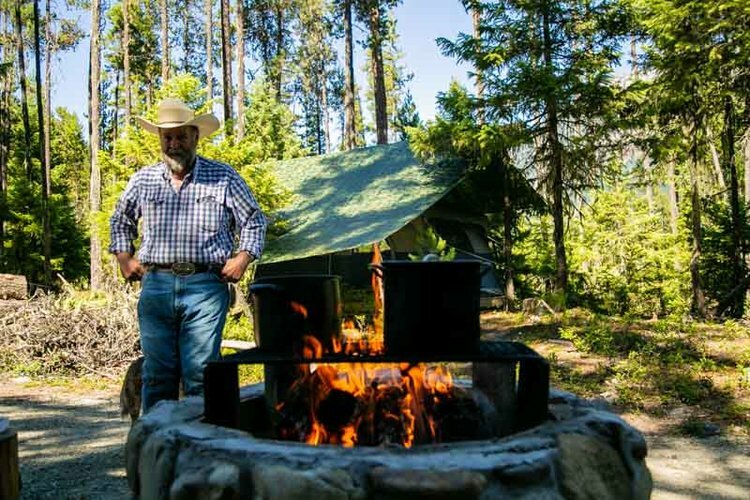 Join us for a half-day ride topped off with a hearty, open-air Cowboy Supper cooked at our backcountry camp near Birkenhead Lake. 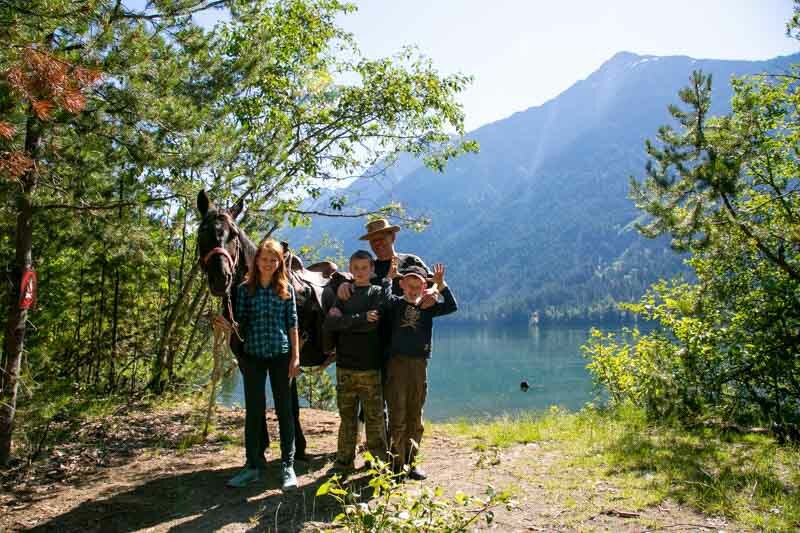 Guests are transported by truck to the trailhead where you will meet up with your horse and guide for a half-day ride along mountain trails to iconic viewpoints and lakes. 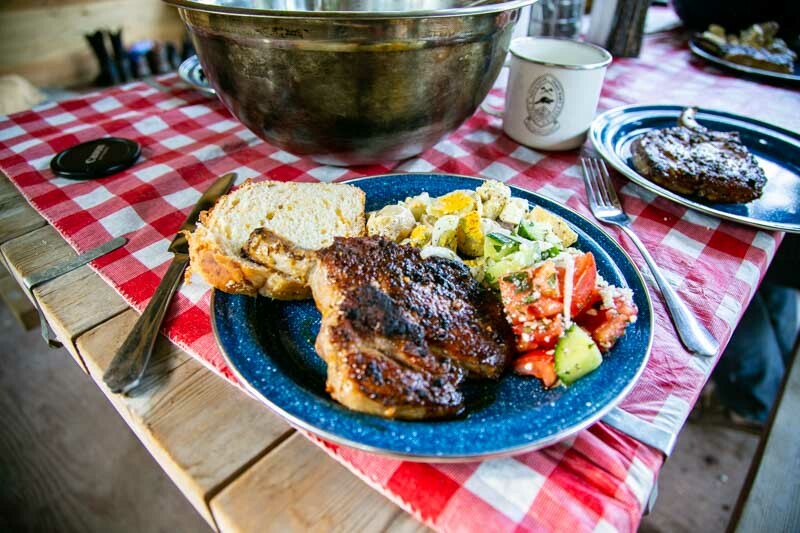 After your ride enjoy a traditional Cowboy Supper of steak, chops, or chicken served with local prodce and veggies, and of course our classic cowboy baked beans and signature glass jar desserts. Relax by the camp fire and share stories from the day before returning home to Pemberton. Join Pemberton’s registered herbalist, Evelyn Coggins, on a half-day adventure in search of Pemberton's wild herbs and medicinal plants with a refreshing stop at spectacular Birkenhead Lake. Ramble through forests, clearings and sub-alpine meadows in search of plants that have been used throughout human history to treat disease and protect good health. Evelyn holds a masters degree from the University of New England in botanical medicine and is able to share a vast amount of knowledge on the therapeutic uses of local indigenous plants. This is not your average full-day horseback ride! This is mountain riding with real cowboys. 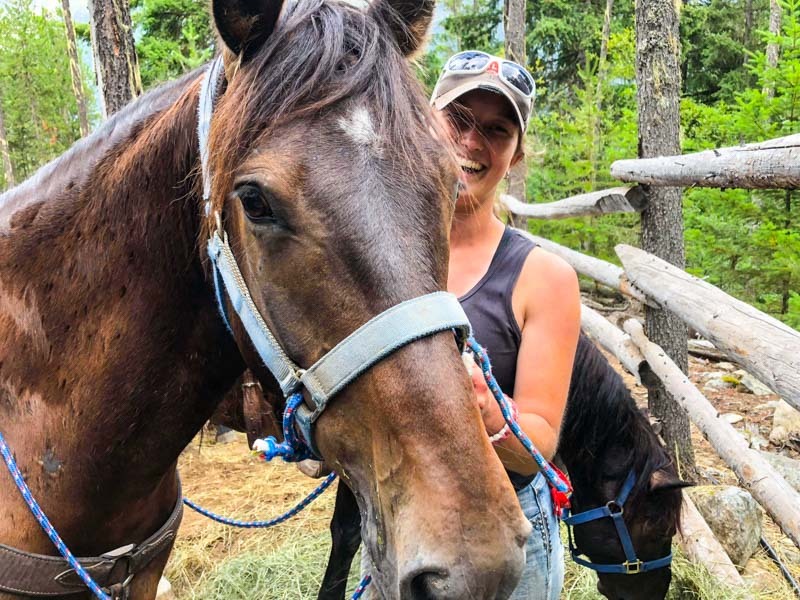 You and your sure-footeed steed will climb old mountain horse trails through coastal rainforest to the beautiful sub-alpine backcountry around Birkenhead Lake. Sweeping views of Fowl River Falls and Sun God Mountain await. 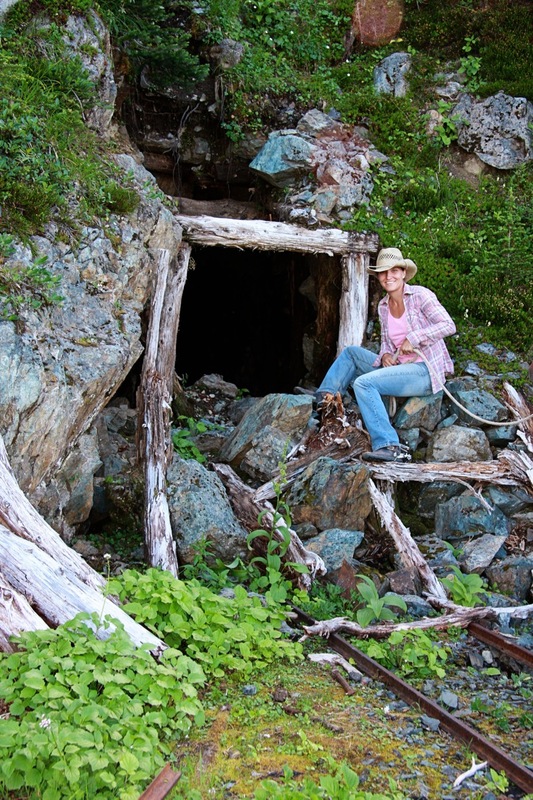 Search for gold on our Canadian Signature Experience, the Historic Li-lik-hel Mine Expedition. Ride on trails that were originally cut by miners in the 1900's and etched into history by years of horses transporting the gold ore to the railway. 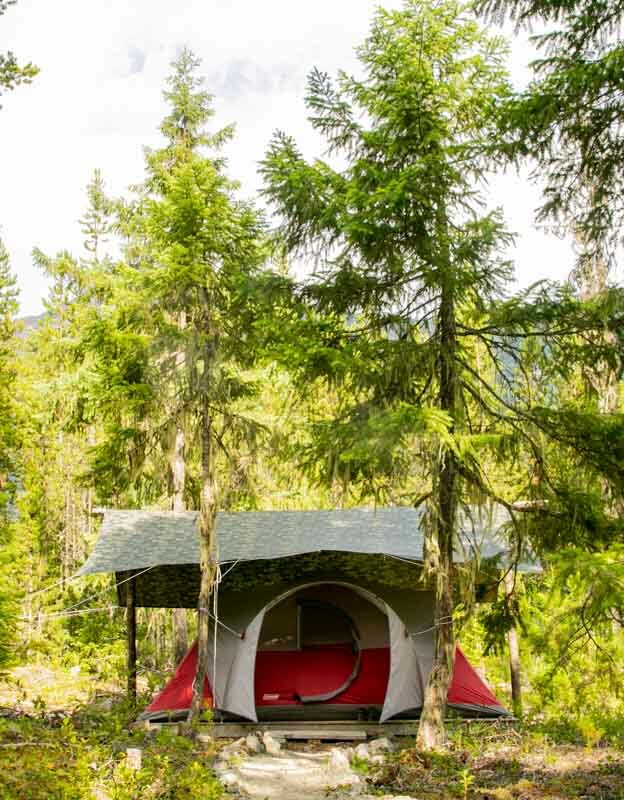 Spend three days on horseback and two nights at our base camp in BC’s spectacular Coast Mountain Range. 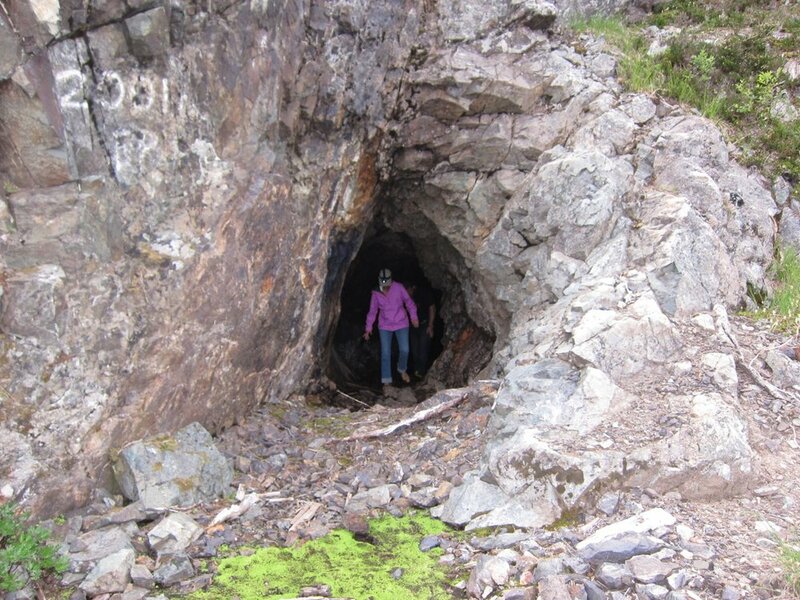 During this time, you’ll channel your inner Indiana Jones and explore the beautiful mountain range between Birkenhead Lake and the Li-lik-hel mine. 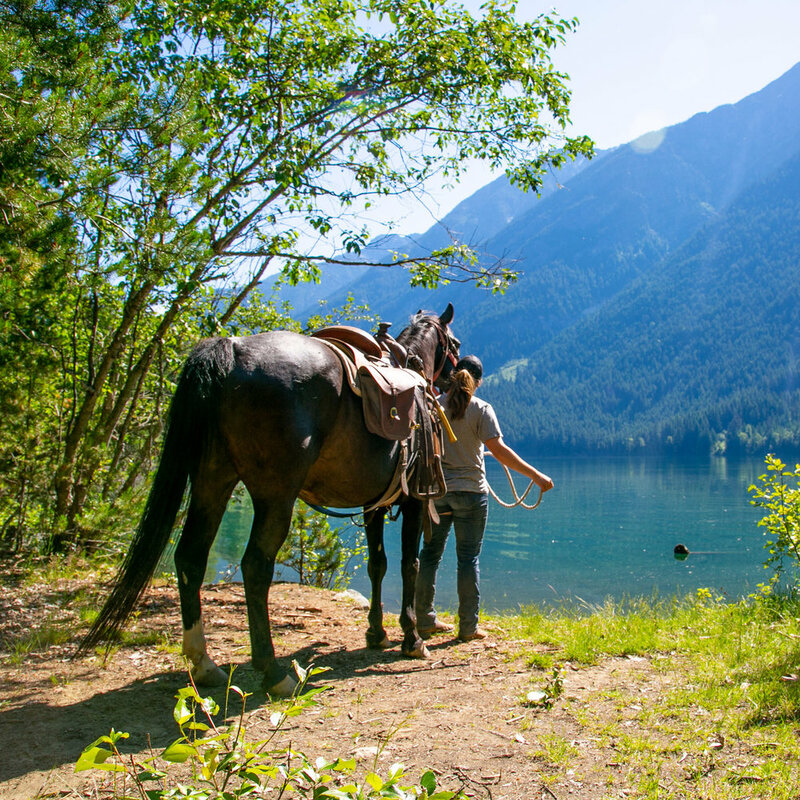 On the Tenquille Lake Horseback Expedition you will spend three days and two nights in BC’s rugged Coast Mountain Range. During this time, you’ll explore the beautiful mountain ranges, rivers, lakes, valleys, forests, alpine meadows, and deep dark night skies between Birkenhead Lake and Tenquille Lake. Old packhorse trails and single track await you on your Tenquille Lake Expedition. Sure-footed gentle mountain horses will carry you to each campground where our guides set up camp and cook a dinner around the campfire. This is truly the most adventurous and awe-inspiring activity you can partake in, whilst in beautiful British Columbia. 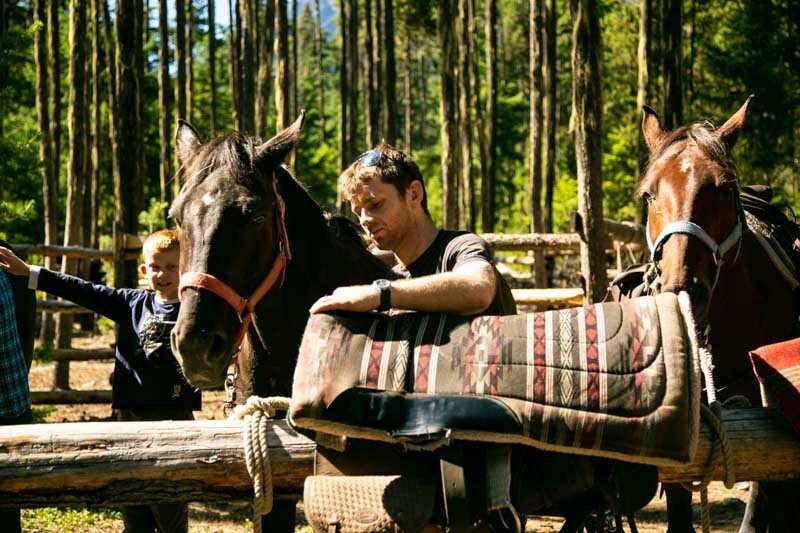 For the youngsters new to horseback riding we offer fun 10-minute pony rides around our working ranch in Pemberton, BC. Our specially trained child-friendly horses and wranglers create lasting memories for your children in an encouraging and confidence-building experience. Contact us directly to buy gift cards for this horseback riding tour, or to book a children's party.